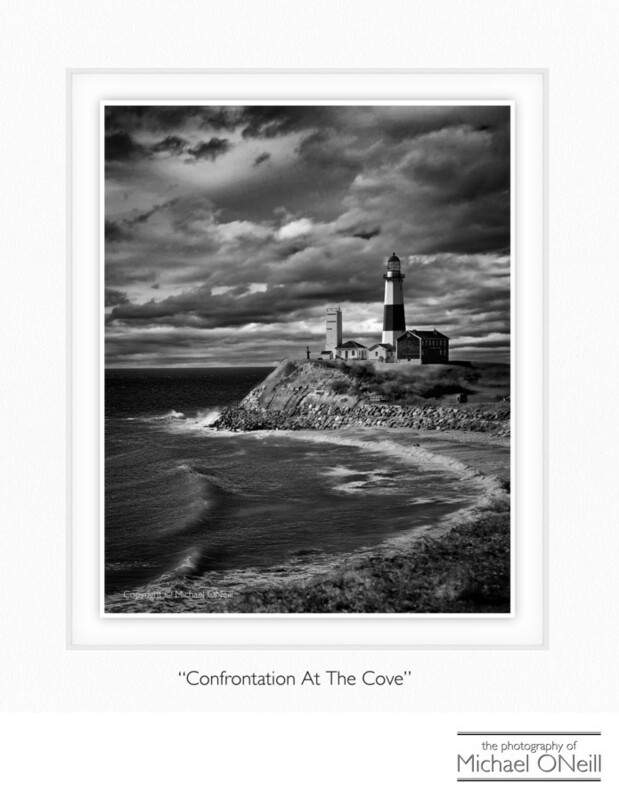 This extraordinary black and white photograph was created overlooking the Atlantic Ocean at Montauk Point in Montauk, NY. The image is one of the artist’s most popular editions hanging everywhere from private collections in the nearby Hamptons to Denver, Colorado. Taken on a cold, blustery day in very early spring, this image has garnered much critical acclaim and has won many awards in professional photographic competitions on the local, state, national and international level. Michael’s fine art photographic prints have become widely accepted as highly collectible and of investment quality. His prints are offered for sale in many prestigious fine art photography galleries in the country and hang in a number of private collections around the globe. They are available artist-direct by using the contact page on this web site. His photographic creations are sure to increase in value over the years to come. If you appreciate his work and would like to add a print to your personal fine art photography collection, you would be prudent to invest in your favorite pieces now.